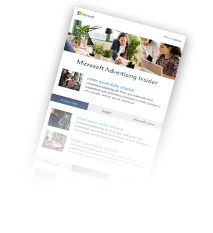 Monitoring your Bing Ads campaigns doesn’t have to be time consuming. Instead of repeatedly checking your campaigns, ad groups, ads, and keywords, use our new ”Notify Me” rules to set up your own custom campaign alerts. 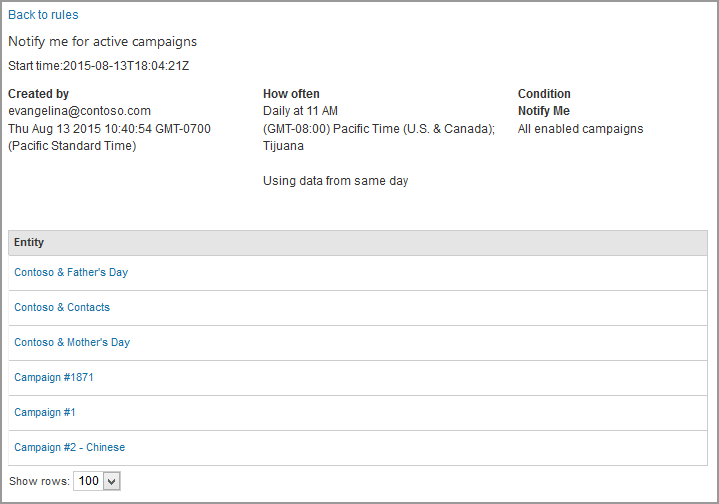 This new type of Automated Rule will save you time and effort when staying on top of your latest campaign data. What are Notify Me Rules? 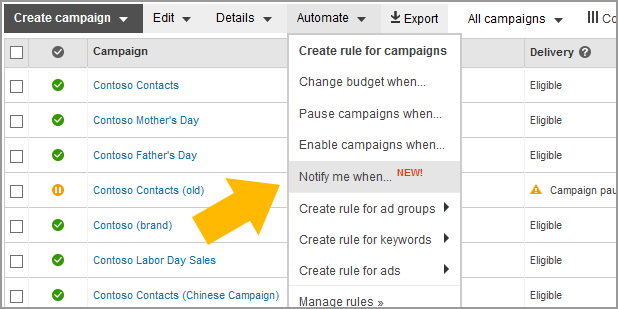 Notify Me rules send you emails for campaigns, ad groups, ads, and keywords that match your search criteria. For example, I can set a Notify Me rule to alert me for campaigns that have spent more than $500 this week or for ad groups that have a Quality Score that has fallen below 5 out of 10. 1. Apply to. Set the scope of the rule. You can choose to have the rule run on all enabled campaigns, all campaigns, or only the campaigns that you have selected in the Campaigns tab. 2. When. Specify the rule’s criteria. Any filter options and performance data already available are also available here. We only want this rule to run on campaigns that are out of budget. Do this by selecting Delivery contains Out of budget. 3. How often. Schedule your automated rule. For example, we are interested in having this rule run every day at 9PM. You can set rules to run once, daily, weekly, or monthly. 4. Using data from. Define the date range for any performance data that you want to filter on. 5. Rule name. Name your rule so that you can easily identify it amongst other rules later. Once you’re done, double-check your rule by clicking Preview, and then Save to set your rule. You will receive an email if there are matches to your criteria at the time of day that you specified. You can manage your Notify Me rule the same as you would any other Automated Rule by clicking Automate > Manage rules to edit your existing rules and view logs of rules that have run recently. 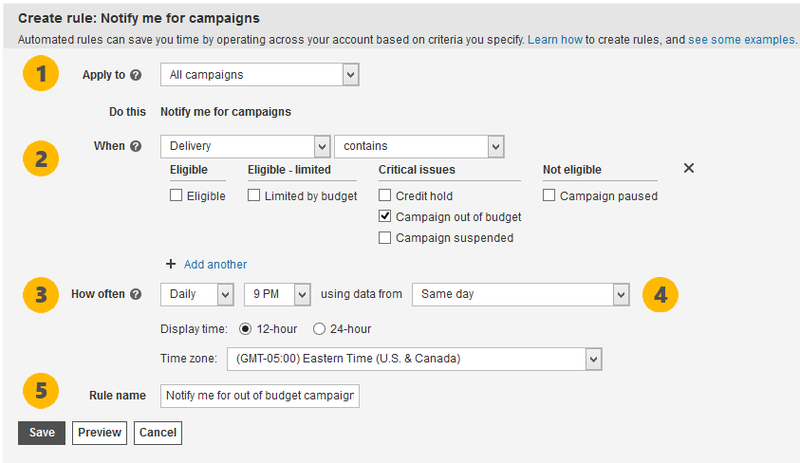 You can find this new rule type under the Automate menu in the Campaigns, Ad Groups, Ads, and Keywords tabs. Please share your comments and suggestions for improvement in our feedback forum.